In celebrity news, Kaitlyn Bristowe talks about rumors of a celebrity break up from Shawn Booth. According to EOnline.com, Bristowe put an end to the celebrity gossip by explaining why she isn’t wearing her engagement ring and insisting that the celebrity relationship is still going strong. It looks like this celebrity couple won’t fall victim to the pressure of the rumor mill. 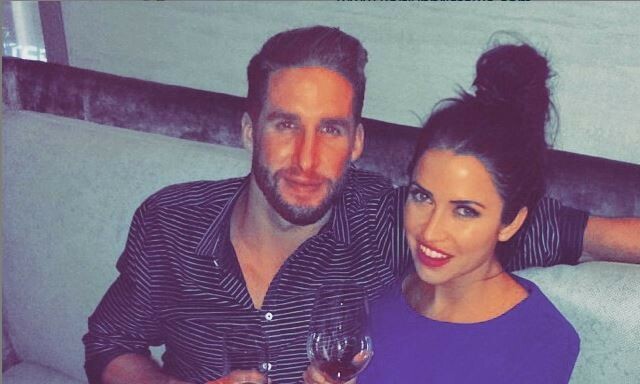 In celebrity news, Kaitlyn Bristowe addresses rumors of a split from Shawn Booth. What are some ways to keep break-up rumors from affecting your relationship? 1. Don’t feed into it: The best thing you can do is to not feed into the rumors. Giving attention to this hurtful gossip will make things worst by allowing the gossip to grow and potentially spiral out of control. When someone asks if you heard it? Say yes and keep it moving. Eventually your silence will show the person who started the nasty rumor that you could careless and the rumors will stop. Silence is stronger than any other answer, remember that. 2. Actions speak louder than words: Remember, actions speak louder than words. Show your haters that you and your partner are still going strong and you are un-bothered. Not only will this shut down the person who started the rumor, it will shut down and questions or thoughts anyone else has about your relationship. To avoid ridiculous questions, this is the east way to keep the rumors away. 3. Talk about it: Make sure you and your partner are on the same page when it comes to these rumors. Talk it out in private about what you both know. From there, together, you should make the decision on how your are going to respond, if at all. Your relationship is bigger than a silly rumor so give each other the respect and time to figure out what your next move will be. What are some ways you keep break-up rumors from affecting your relationship? Share below.